The behaviours of Australia’s vast land would be better understood should plans for a downward-looking telescope come to pass. Image: National Mining Chronicle. A telescope burrowing 300km beneath Australia’s vast and parched land may seem more of a Jules Verne thought bubble than a not-too-distant scientific reality, but such a concept could exist in the next decade if the nation’s geoscientific community has its way. A funding priority within the Australian Academy of Science’s Australian Geoscience (2018-2027) plan, a ‘downward-looking’ telescope which maps at least 300km beneath the Earth’s surface would help unlock the nation’s covered mineral wealth. Given the deepest hole ever drilled, the USSR’s Kola Superdeep Borehole, stretched just over 12 kilometres into the Earth’s core, to develop such infrastructure in the literal sense seems equal parts improbable and impractical. That is a fair assessment of the situation, according to AuScope Chief Executive Officer Tim Rawling, who confirmed no such physical telescope would come to exist. AuScope is the collaborative body charged with putting Australia at the forefront of international geoscience and geospatial research, and to create geoscience applications for the next generation. In layman’s terms, they are building the aforementioned telescopic capabilities of the nation. Dr Rawling assured National Mining Chronicle that while a telescope would not be burrowing deep into the Earth’s crust anytime soon, the Australian Geoscience telescope initiative, once delivered, would be equally awe-inspiring. “It won’t burrow underground, but it will capture the imagination,” he said. “Our national geoscience community, together with AuScope on behalf of the Australian Government via the National Collaborative Research Infrastructure Strategy, is developing a large, distributed system of tools that collectively ‘look’ into the Australian continent to help locate minerals, energy and water resources. According to Dr Rawling, the downward telescope concept uses an integrated collection of geophysical observational instruments stretched across the continent to image the earth below us with unprecedented accuracy. The images would combine with those taken from drill samples to integrate geochemical and geochronology data, while high-precision GPS antennas located with seismometers would monitor how the earth moves, creating an in-depth understanding of how the continent is behaving. The data can then also be combined with remotely-sensed observational data from satellites to allow the investigation of the national water balance. That is how you create a downward-looking telescope without digging a deep hole. But what will it mean for mineral exploration? “The biggest challenge in Australia, as outlined by the UNCOVER initiative, is the difficulty in exploring through transported cover,” Dr Rawling said. As uncovering the orebodies of the future gets harder, the need to identify the nation’s resources under more complex cover gets greater. “A piece of infrastructure like this would transform our minerals sector by making deep Australia visible,” Australian Academy of Science Chair Sue O’Reilly said at the launch of the 10-year plan. “It would give us a new understanding of the vertical makeup of the continent and allow us to direct our mineral exploration efforts in the two-thirds of Australia that aren’t currently cost-effective to explore. The challenge ahead is in execution – while the deployment of distributed infrastructure in support of geoscience has been done in the US and Europe, it has never been carried out on a continental level or to the scale planned by AuScope and its partners. Dr Rawling said there were still details to be mapped out on exactly how it would all come to be. “We are currently working on the design details but it is likely the deployments will include a variety of geophysical tools including passive and reflection seismic, magnetotelluric and gravity methods,” he said. “However, it will include geodesy infrastructure including re-deployable Global Navigation Satellite Systems, corner cube reflectors, interferometric synthetic aperture radar and gravity recovery and climate experiment data, geochemistry and geochronology analysis of samples collected during the national drilling program, hyperspectral and petrophysical data from drillcore, downhole logging, high-resolution drone based geophysical deployments. There will also be the need for a variety of analytical tools to support these. Dr Rawling said the broad distribution of tools to be used in the telescope would make it relatively easy to replace elements as newer, more complex technologies became available. He called on Australia’s mining community to get involved in the planning conversation. “AuScope is currently working with the Australian geoscience community to gather ideas on how to build, and exactly which parts to include in our downward-looking telescope,” Dr Rawling said. 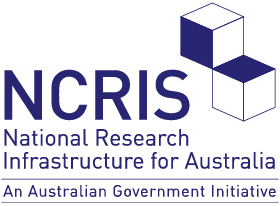 AuScope is funded by the Australian Government through the National Collaborative Research Infrastructure Strategy, NCRIS.